Hem » Publicerat » In English » News articles » RRI Toolkit now live! In order to solve the major societal challenges that we face, researchers, civil society, industry, the public sector and the public must work together. This type of cooperation is the foundation of Responsible Research and Innovation, RRI – a key concept in the EU’s research programme Horizon 2020. 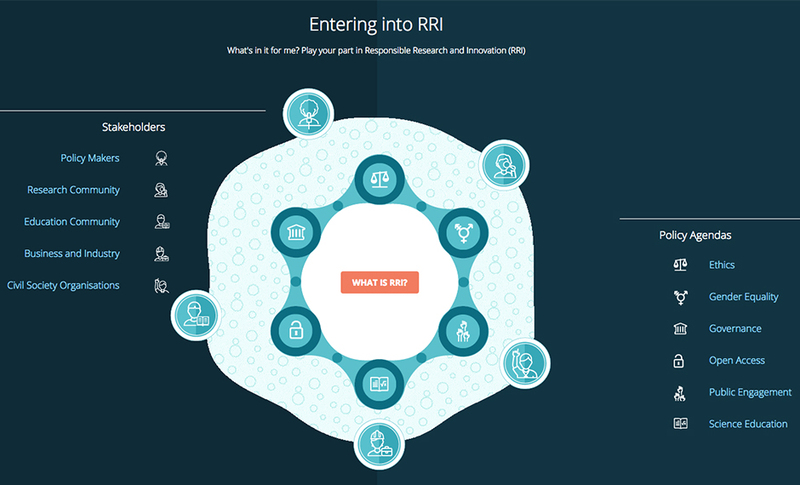 A web-based toolkit is now available to help stakeholders implement RRI. “RRI is about having a dialogue with everyone who may be affected by the research results or innovations throughout the entire process. It can be done in different ways, but the goal is always to develop innovations that are sustainable and ethically acceptable,” says Karin Larsdotter, Business Development Manager at VA (Public & Science) and the Swedish coordinator of the EU project RRI Tools. Responsible Research and Innovation, RRI, is an umbrella term embracing many concepts. It is partly a way for actors to work together to ensure that research meets society’s needs and values. It’s also about the process itself being transparent, interactive and responsive between the participants. There are also six dimensions that should permeate the process: gender, open access, public engagement, science education, ethics and governance. To help stakeholders adopt an RRI way of working, the EU project RRI Tools has developed tools tailored to different stakeholders. As part of its role as the Swedish partner in the project, VA has mapped the needs and requirements of Swedish stakeholders. The result: the RRI Toolkit. “The toolkit for working with RRI is ready to use so now we must make sure that everyone who could benefit from the tools knows about them. VA is happy to help anyone who wants to work in an RRI way, just get in touch and we will tell you more,” says Karin Larsdotter. The Lund Declaration in 2009 provided the foundation for both Horizon 2020 and RRI, and concluded that Europe must focus on the grand challenges of our time. To tackle the challenges, cooperation between scientific disciplines and with different actors in society is necessary.